I found these chilies met and exceeded my expectations. I love their smokey flavor and small hint of heat. I love pure Chipotle and this from Hoosier Farms is great! I dont like powder but flakes/crushed as this is. Will deff buy again when empty. The huge 1 lb jar will go a long way! So happy to have found these. I love the smoky/spicy flavor of chipotle and this product delivers it. I use these on my egg in the morning, on pizza, in soups, in salsa, and on just about everything else I can. I am glad it was a pretty big container, because I use it a lot! Smells amazing, tastes amazing too! Excellent Fresh product! Use on everything from chicken to avocado to pizza!Even made a Chipotle simple syrup for awesome Spicy Margaritas. I'm using this to grind to powder. Love the flavor! The smoke is evident. What a great value, love to use this in chili and salsa! If you like chipotle chiles, you will love using these dried chilies in all your dishes; i.e. on pizza, in tamales, in quesadillas, burritos, etc. I even like it on steamed broccoli or cauliflower. You will find endless uses for these delicious dried chilies! Advantages: Bring some heat to your dishes in a most flavorful way! 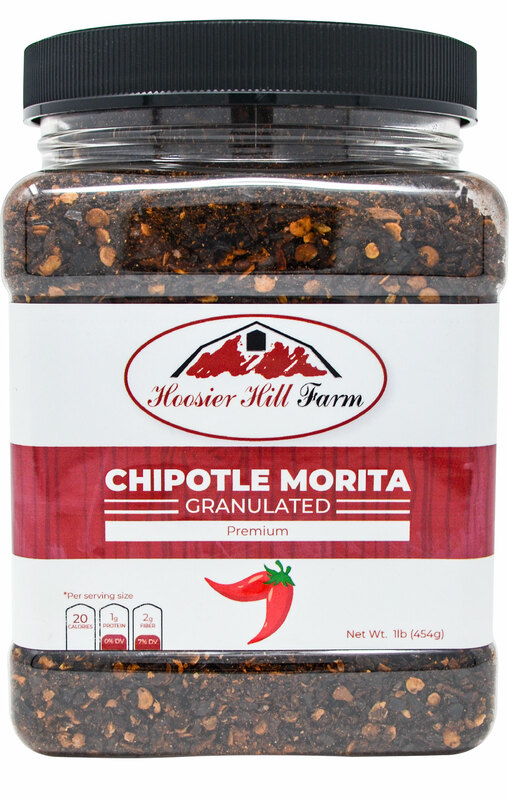 I've used Chipotle peppers for years from many sources, and these are the best i've ever used.Packaging is solid, delivery is fast, and the peppers are ground fine enough they work in my pizza pepper shaker.Very happy and will order from them again!